Hi Fleurp! Good groundhog impersonation! LOL @ the groundhog impression comment. 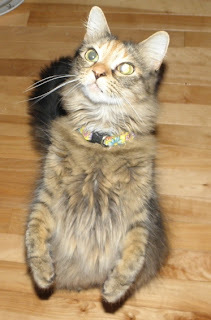 Chumley used to "sit up pretty and beg," as the mom puts it. Like her childhood dog. Fleurp, we certainly hope you got treats there!